In order to teach and produce a cleaner more professional knife; the size, design and style of the knife will be pre determined by the instructor and a scale drawing supplied to each student upon enrollment. Ben Breda is a local Journeyman Bladesmith from Hope, Maine. 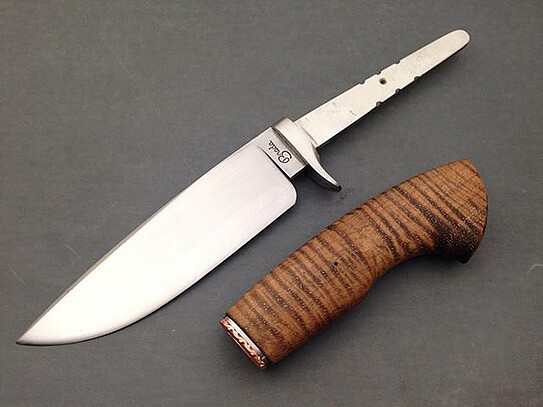 He got his start in knife making at the New England School of Metalwork in 2012, since then he has studied under several Mastersmiths such as Jim Crowell, Tim Potier, Rick Dunkerley, and Kevin Cashen. Ben received his Journeyman stamp from the American Bladesmith Society in 2014 at the Atlanta Blade show. He was also awarded the George Peck award for the best knife submitted by a Journeyman applicant. 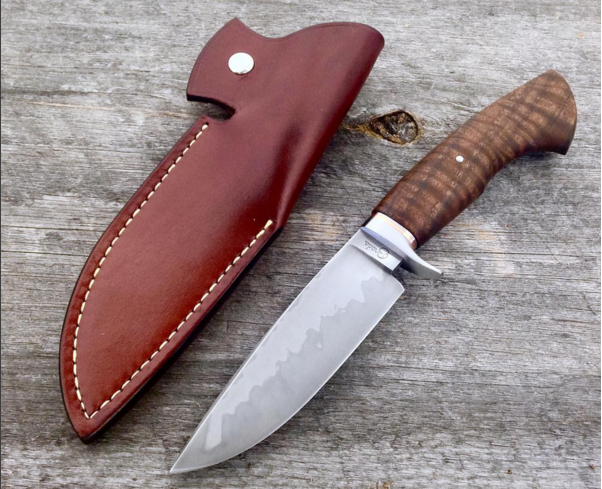 Ben has been a full time maker since 2016, he specializes in hand forged heirloom quality fixed blades as well as folding knives. I am honored to be given the opportunity to teach the Intermediate class at NESM, and I am looking forward to taking the students through the process of a forged knife from start to finish.